Are your kids afraid of monsters? 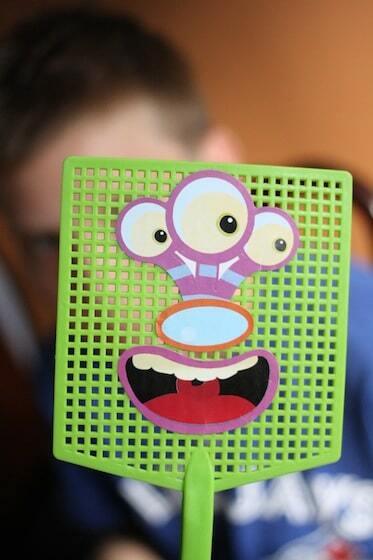 Make a Monster Swatter, and ban those bedtime-monster fears for good! When I recently polled my Facebook followers, about their children’s fears, a common response was “my child is afraid of monsters at bedtime“. If you have a little one with a fear of monsters, you know that bedtime can be quite stressful for your child and very challenging for you as a parent. Thankfully, many other Facebook followers offered tips and tricks that they’ve used successfully to solve this common bedtime problem. 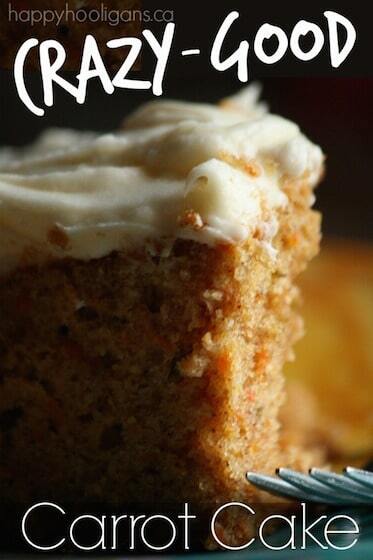 As a result, I compiled them, and wrote “40+ Tried and True Ways to Banish Bedtime Monsters”. One of my favourites solutions was the “monster swatter”. One daycare provider said she lends hers out to her daycare children when they experience monster-anxiety at bedtime. She claims it’s always been returned after a few days, and 100% effective. I loved the idea of the monster swatter, so my son and I whipped up a couple for my daycare in the event that my hooligans ever need to borrow them. 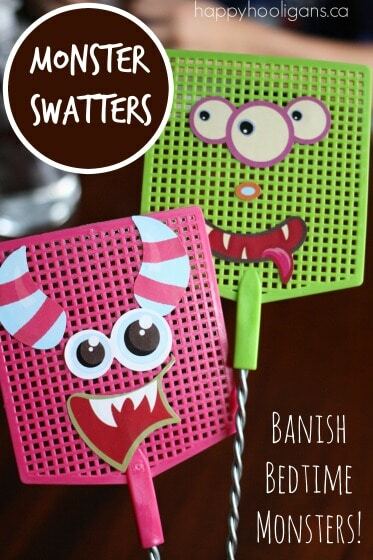 They were super-easy to make, and the total cost to make two monster swatters was under 5 dollars. 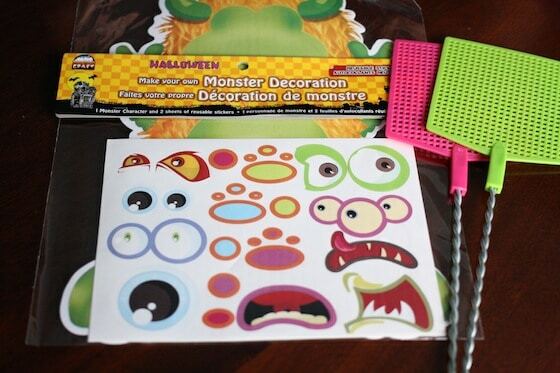 * If you’re unable to find monster stickers, Cassie, from 3 Dinosaurs, has a free printable MONSTER PACK for you to download. 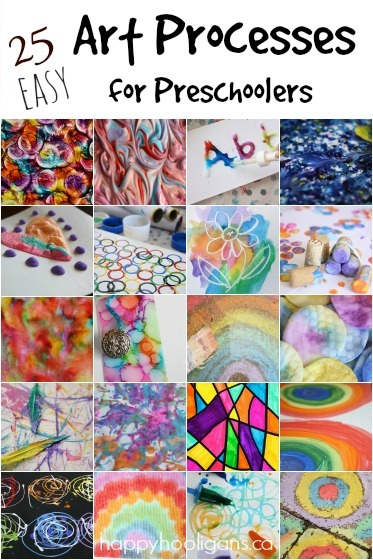 Print them on sticker paper, or adhere them to your swatters with glue, contact paper or packing tape. 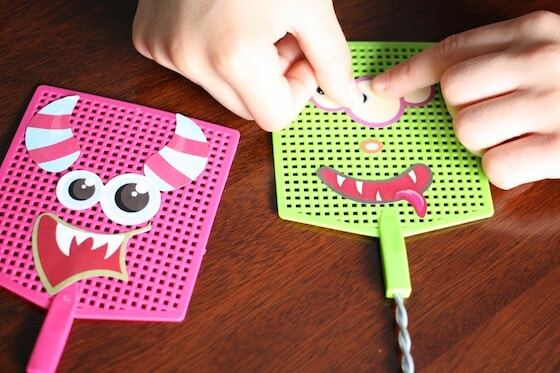 Have your child decorate the swatters to his or her liking. We’ve left ours simple, but you could also add ribbon “streamers” to your swatter for some extra fun. And there you go! 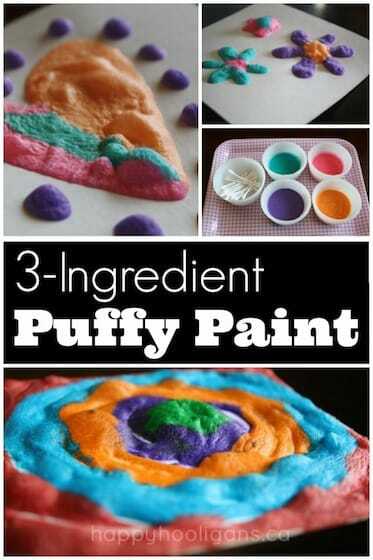 A solution to your bedtime monster problem! Note: While some people may think that a tool like this may foster your child’s belief in monsters, many feel it’s important to acknowledge your child’s insecurity. Those “monsters” may not be real, but his fears are. 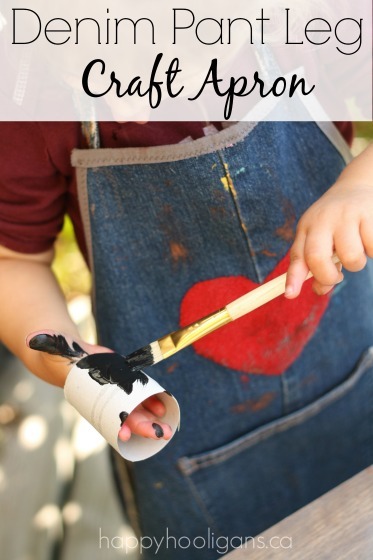 Providing him with something like this can empower your child, and give him control over his fear. If your child believes in monsters, with support and encouragement from a parent or loved one, he can just as easily believe that he has power to make them go away.